The CGIAR Research Program on Agriculture for Nutrition and Health (A4NH) is dedicated to the realization of Sustainable Development Goals 2 and 3, laid out by the United Nations. In 2017, A4NH began its second phase of work, with five research flagships, seven managing partners, and activities in more than 30 countries all working toward realizing this vision. Complex and multidimensional, food systems are evolving rapidly in many parts of the world. Understanding these systems' impacts on diet transitions is key to addressing and overcoming the problems of malnutrition. A4NH researchers are looking at this matter systematically and from the unique perspective of the consumer to determine where opportunities for intervention lie. Engaging with national partners in four counties – Bangladesh, Ethiopia, Nigeria, and Viet Nam – researchers are conducting deep studies of food systems and how they are transforming, using this knowledge to develop and test innovations and interventions to improve diet quality and diversity, and then working to support the scaling up of successful efforts. This process not only works to address situations in specific contexts, but also will provide lessons that can be applied elsewhere.This flagship is led by Wageningen University and Research (WUR), with support from Bioversity International, CIAT, IFPRI, IITA, and the Global Alliance for Improved Nutrition (GAIN). The first step toward identifying ways to improve something is to understand the situation as it currently exists. Guided by this premise, in 2017, FSHD researchers embarked on an in-depth analysis of food systems in four focus countries. Their goal is to develop a base of knowledge to operate from as the project moves forward throughout Phase II. The first to be completed, Ethiopia, served as a case study to refine methods of study and information sharing. In the process of completing this work, FSHD researchers are building strong partnerships with local stakeholders, laying the foundation for future collaboration in identifying strategies and opportunities that will lead to systemwide improvements that have real impacts for consumers throughout these countries. As urban populations continue to grow, particularly in low- and middle-income countries, so too does the complexity of the food systems that support them. Urban consumers face greater constraints on their time, which impacts how much they can devote to food preparation. These urban consumers also rely heavily on formal and informal markets to meet their dietary needs, rather than producing their own food. A4NH researchers from Bioversity International and WUR are working in Nigeria and Viet Nam to better understand how food systems can meet the needs of urban consumers for a healthy diet, in order to provide guidance on ways to better provide for this growing and changing segment of the global population. the key players, and what role these and future platforms might play in food system transformations. More than two billion people worldwide suffer from some form of micronutrient deficiency, a crisis of “hidden hunger” that impedes growth and development, not only of countries or regions, but also of individuals. People who do not get enough vitamin A, zinc, iron, and other key vitamins and minerals suffer health effects throughout their lives. In 2017, HarvestPlus, which leads A4NH work on biofortification, took great strides toward solving this crisis. With efficacy of vitamin A-biofortified crops already established, researchers moved forward with building efficacy evidence for iron crops, completing several multiyear efficacy studies and synthesizing the results. Research on the bio-availability and efficacy of zinc crops also moved forward. With its vision to catalyze the scale-up of biofortification to benefit one billion people by 2030, HarvestPlus developed a new strategy and a monitoring and evaluation system for tracking progress toward this goal. In 2017, HarvestPlus received numerous high-profile awards, a testament to its tireless work fighting micronutrient deficiency through breeding and improving access to crops enriched with key vitamins and minerals for millions of people around the world. In February, HarvestPlus was named a LAUNCH Food Innovator for its groundbreaking work on this problem. During Global Innovation Week in October, HarvestPlus was inducted into USAID’s Million Lives Club, in recognition of its dedication to bringing biofortification to scale. In December, HarvestPlus was awarded US$15 million as one of four finalists in the MacArthur Foundation’s 100&Change competition, selected from nearly 2,000 proposals addressing critical social problems of our time. 2017 saw the publication of several seminal papers and two special issues on the role biofortification can play in helping end “hidden hunger.” The African Journal of Food, Agriculture, Nutrition, and Development and the New York Academy of Sciences dedicated special issues to the topic, focusing on biofortification research and operations across Africa and the role of biofortification as part of a public health strategy, respectively. Recent evidence of the positive impacts of biofortification not just on reversing micronutrient deficiencies but also on health outcomes, following a trial of iron-biofortified beans in Rwanda, was published in the Journal of Nutrition. 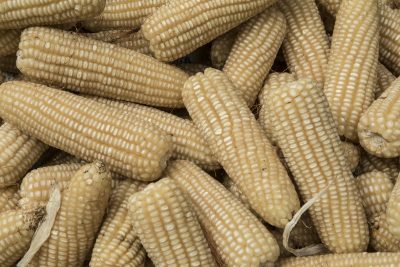 2017 saw the release of 29 biofortified crop varieties, including a new addition, zinc maize. This brought the total number of biofortified varieties released to 187 across almost 30 countries. By the end of the year, HarvestPlus and its partners in civil society organizations and the public and private sectors had reached 3.6 million farming households with biofortified planting materials, bringing the total net number of farming households growing and consuming biofortified crops to 6.7 million. HarvestPlus’ rigorous monitoring and evaluation data showed increased adoption and diffusion rates for biofortified crops, while adaptive learning experiments helped identify those delivery models and promotion strategies that would have the biggest impact at the lowest cost. 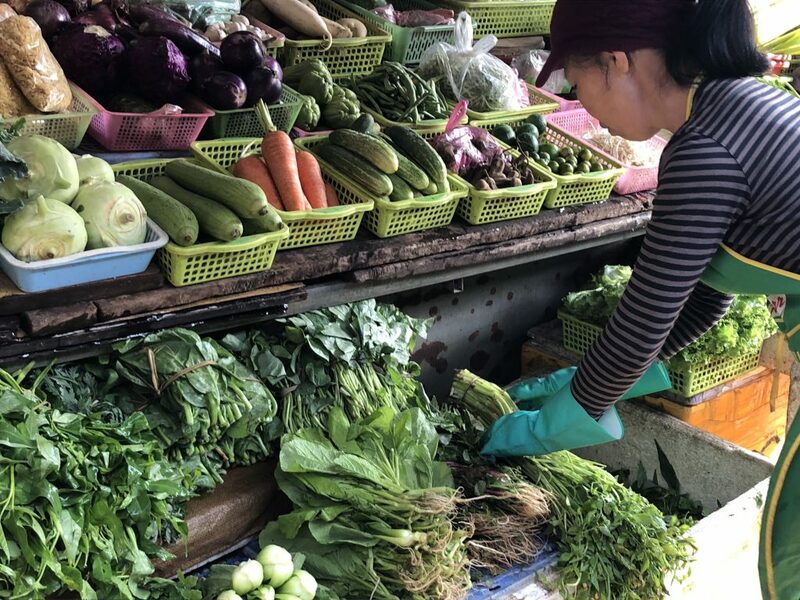 As food systems grow increasingly complex, and as people in low- and middle-income countries have access to more food choices, the importance of identifying and mitigating food safety risks grows more urgent. A4NH’s third flagship is devoted to examining this issue, identifying areas of particular focus, and bringing together various stakeholders to identify and enact policy solutions that can ensure food safety receives the careful attention it deserves as food policy evolves. Areas of focus range from informal markets and supply chains—where the risk of foodborne disease is rising along with the demand for perishable food—to controlling aflatoxins, protecting crops for the health of consumers and farmers’ livelihoods. In 2017, A4NH researchers held high-level discussions, strengthened partnerships, and expanded research and technology as they worked to combat threats to food safety. This flagship is led by ILRI with support from IITA and IFPRI. According to the World Health Organization, foodborne disease constitutes a health burden comparable to that of HIV/AIDS, tuberculosis, or malaria. 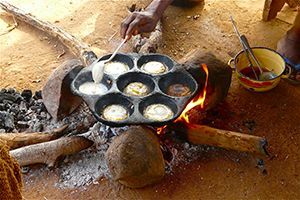 To delve into the challenges impeding poor people’s access to safe food throughout the world, A4NH and the London School of Hygiene & Tropical Medicine, together with the European Commission in Brussels, convened a dialogue with policy makers, researchers, donors, and other key stakeholders. Discussions at the May workshop “Better Targeting Food Safety Investments in Low- and Middle-Income Countries” returned again and again to a central premise: that solving these critical challenges will require completely new approaches, such as coordinating messages between the agri-food and health sectors and using both quantitative and qualitative risk assessment methods to identify key control points, with tailored strategies and collaboration among all sectors involved in each country. In September, A4NH researchers with the International Institute of Tropical Agriculture and representatives of BAMTAARE SA signed the first transfer license for Aflasafe to be granted to a private company in Africa. Under the agreement, construction will begin on a factory in Senegal to produce the regionally customized Aflasafe SN01™ for distribution and sale in Senegal and Gambia. The product will help farmers to protect their maize and groundnut crops from deadly aflatoxin, keeping harvests safe for sale and consumption. “Our vision of success is that every maize and groundnut farmer has access to Aflasafe where and when needed,” said Abdou Konlambigue, managing director of IITA’s Aflasafe Technology Transfer and Commercialisation Project, at the transfer signing event. Viet Nam’s population is booming, climbing from 66 million in 1990 to 94 million today. People are flocking to the cities, with more money and more food choices than ever before. With such dramatic changes underway, the country’s government has taken a keen interest in ensuring people’s access to safe foods—a topic of mutual inter- est to A4NH, offering opportunities for unique partnerships. In July, A4NH researchers from ILRI signed a memorandum of understanding with Viet Nam’s National Institute of Nutrition (NIN), the leading institute under the Vietnamese Ministry of Health, to strengthen collaboration in food safety research. Key areas of collaboration include the characterizing of food systems, testing of select food safety innovations, and measurement of food system transitions. A4NH and NIN will also share data in relevant areas and work together to cross-promote research findings and policy recommendations. Solving the global problems of malnutrition, which includes undernutrition and the growing crisis of overweight and obesity, will require collaborative approaches to identify and enact appropriate policy measures relevant to local and national circumstances. Understanding the nutritional impact of the current policies, capacity, and programs is critical to addressing problems related to malnutrition and improving nutritional outcomes. A4NH’s fourth flagship focuses on building the knowledge base and working with partners at all levels to identify appropriate policy changes and improvements, and to foster an environment where they can take hold. This flagship is led by IFPRI with support from Bioversity and the Institute of Development Studies. The groundbreaking research-based, evidence-driven program Transform Nutrition, led by IFPRI, wrapped up its work in South Asia and East Africa in 2017 with two research symposia to share results and discuss next steps and co-publishing (with the SUN Movement) the toolkit “Identifying, Engaging, and Sustaining Champions for Nutrition.” Since 2012, the Transform Nutrition consortium of five international research and development partners has worked to strengthen the nutrition evidence base, focusing on the 1,000-day period from conception to a child’s second birthday, when interventions to reduce undernutrition are most effective. The consortium has generated over 90 peer-reviewed journal articles; approximately 150 briefs, blogs, and newsletters targeting relevant audiences; and over 1,500 citations, influencing program and policy decisions in its focus countries and helping shape regional and global dialogue on this critical subject. 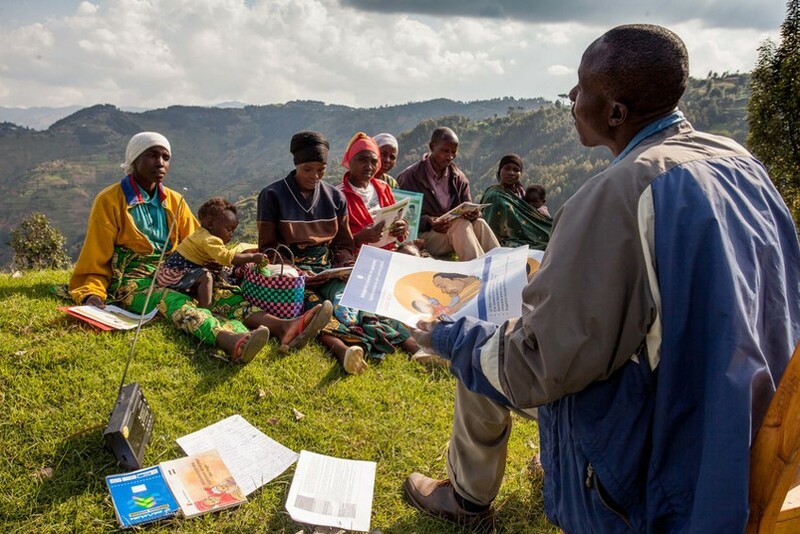 knowledge by exploring drivers of change in six countries that have had success in improving nutrition: Bangladesh, Ethiopia, Odisha in India, Nepal, Senegal, and Zambia. The success of Stories of Change demonstrates the need for this type of information and has garnered attention from stakeholders around the world. Global Food Security devoted its June 2017 issue to Stories of Change. This innovative initiative—together with a growing number of policy briefs, consultations, and efforts to apply lessons learned in other countries— is shaping the global discussion on how to improve nutrition. program increases the program’s effectiveness in improving children’s nutritional status. This was one key finding identified by A4NH researchers at IFPRI in their final evaluation of Helen Keller International’s Homestead Food Production program in Burkina Faso, Cambodia, and Tanzania. The evaluation marked the culmination of a ten-year partnership between the two organizations on the project, which concluded in 2017. The potential effects of agricultural development on human health go well beyond food safety. Agriculture transforms landscapes and influences livelihoods, changing both the conditions in which human diseases emerge and spread and the capacity of communities to protect themselves. A4NH’s fifth flagship, Improving Human Health, is a new addition to the program’s second phase. Under it, agricultural and human health researchers are working together to identify evidence of positive and negative effects of agricultural development on disease, and to develop interventions to reduce disease risks and improve human health. 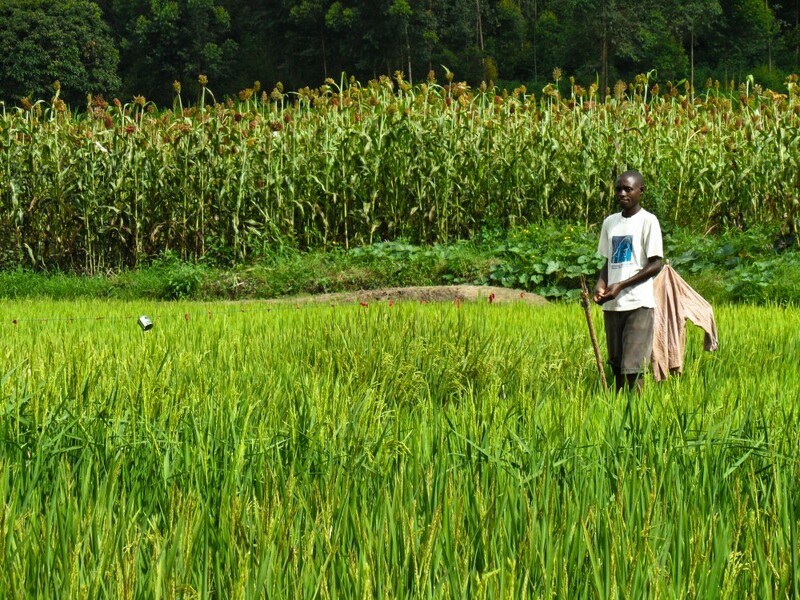 This research focuses on the impacts of agricultural intensification on, for example, irrigation and livestock production, and addressing related concerns and challenges. Researchers are also working to ensure that agriculture- and health-sector efforts to reduce antimicrobial resistance or to manage insecticide resistance in crop pests and disease vectors are complementary. A4NH is committed to fostering interdisciplinary research to identify and address challenges shared by the agriculture and heath sectors. This flagship is co-led by the London School of Hygiene & Tropical Medicine (LSHTM) and ILRI with support from IITA. With widespread distribution of antimalarial drugs and use of insecticide-treated bed nets, rates of malaria have declined globally in recent decades. Where humans alter landscapes in ways that offer new breeding grounds to the mosquito vectors of malaria, such as expanding irrigated rice production in Africa, there is potential for malaria transmission to increase. A4NH researchers from LSHTM are working with colleagues from Africa Rice and others to explore how rice intensification can be achieved without increasing the risk of disease. Increasing livestock production can bring considerable health benefits through greater availability and affordability of nutritious, animal-sourced foods. However, livestock production can also be the source of zoonotic diseases that move from animals to humans. Minimizing these risks often requires collaboration between veterinary and public health services. Rift Valley fever, for instance, is a viral disease of cattle that occurs under particular weather conditions and spreads to slaughterhouse workers. A4NH researchers at ILRI are developing methods to better predict outbreaks, and are documenting hygiene practices in slaughterhouses in Kenya to develop ways to reduce human exposure. Cysticercosis is a parasitic disease of pigs that can infect humans, causing epilepsy. A4NH researchers are developing ways to integrate separate interventions to reduce the parasite burden in pigs, treat infected humans, and improve hygiene to reduce transmission in farm environments. Nutrition and health outcomes can vary widely between men and women, rich and poor, young and old, urban and rural. Successful nutrition and health interventions must be targeted to the right people within households and communities. The Gender, Equity, and Empowerment (GEE) Unit supports A4NH researchers to ensure that A4NH research shines light on how gender and equity influence the relationships between agriculture, nutrition, and health. A4NH continues to build its portfolio of gender-focused projects. Two projects in Bangladesh, TRAIN and ANGeL, aim to improve nutrition through improved production diversity, behavior change, and women’s empowerment. In Burkina Faso, SE LEVER evaluates whether developing poultry value chains, empowering women, and changing behavior can improve women’s and children’s nutrition. In Nairobi, MoreMilk assesses whether enhancing training and empowering female milk traders can improve nutrition outcomes. In Nepal, the Suaahara II project seeks to improve the diets and nutrition of women and children by helping them access health services, healthy food, and sanitation. In India, JEEViKA-MC and WINGS examine the role of women’s self-help groups in improving maternal and child nutrition. 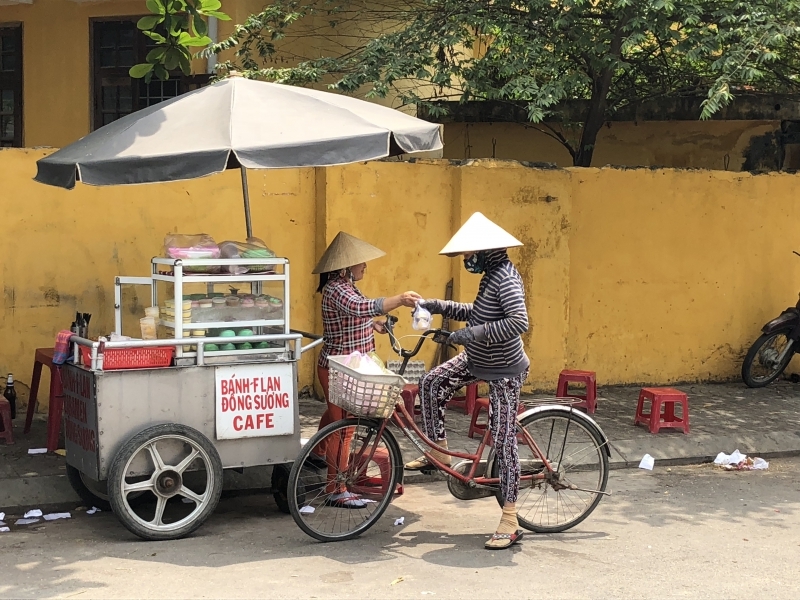 Other projects in Viet Nam and Kenya look at food retail, intake, and choices through a gender lens. In 2017, A4NH researchers also produced a report for FAO on gender, empowerment, and nutrition. The Gender, Agriculture, and Assets Project, Phase 2 (GAAP2), aims to develop quantitative and qualitative tools to measure women’s empowerment in agricultural development projects. GAAP2 is adapting the Women’s Empowerment in Agriculture Index (WEAI)—the first comprehensive, standardized tool for measuring women’s empowerment in agriculture, developed in 2012—for use at the project level and is piloting a set of qualitative research tools to help projects understand empowerment in context. In March 2017, representatives from GAAP2’s portfolio of 13 agricultural development projects, the GAAP2 team, and external advisors met to share their progress and challenges. By the end of 2017, nine projects had piloted the project-level WEAI (known as pro-WEAI) quantitative survey modules, and six projects had piloted the qualitative protocols. A 2017 external review found that A4NH research investigates several areas of equity, including gender, income, poverty, life stage, youth, and geography, but only focuses systematically on gender equity. During Phase II, A4NH will work to strengthen several priority areas of equity research in each A4NH flagship. A4NH will develop strategic research on equity, including flagship- and country- specific investigations, as well as cross-cutting research to address gaps in knowledge and tools for equity research across A4NH’s portfolio. A4NH will create equity research hubs, focusing on South Asia and Africa, the regions where A4NH works, and engaging local researchers to build a network of experts who can contribute to and advise on equity research. A4NH’s flagships and focus countries will lead and guide priorities of equity work in the research program.